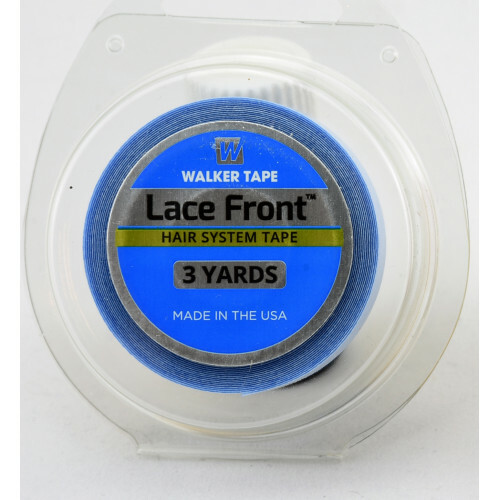 Blue Tape by Jon Renau measures 3 yards and helps secure your wig in place. It’s intended for use on lace front material. It’s a half inch wide and can be cut to the desired length and shape with a pair of small scissors. You will replace your adhesive strips with every wear. If using on polyurethane, the best grip will be found with Jon Renau's Red Tape.